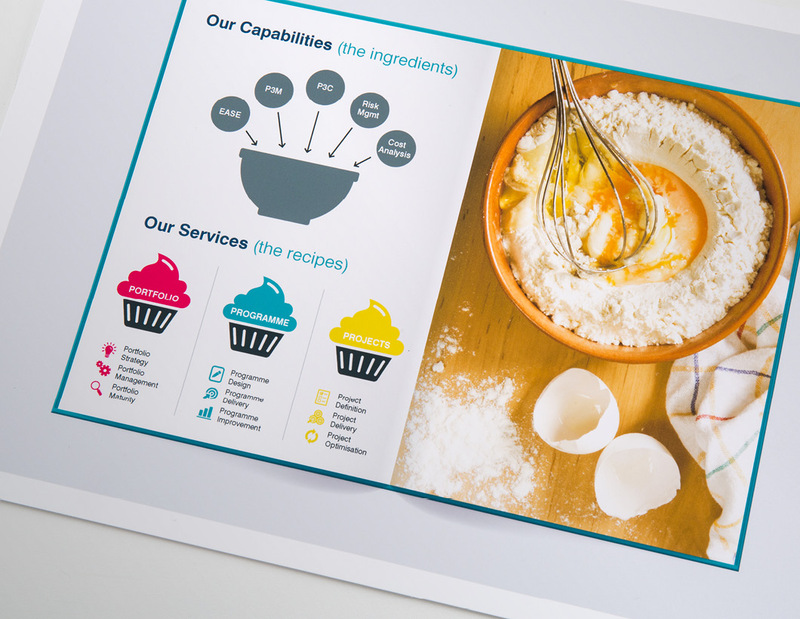 design 146 have been working with BMT to develop a new infographic. We were asked to look at the way BMT could show how each part of their business works together to create the whole package. Due to recent changes it was essential for all staff to understand the what the other departments could offer to their client base. 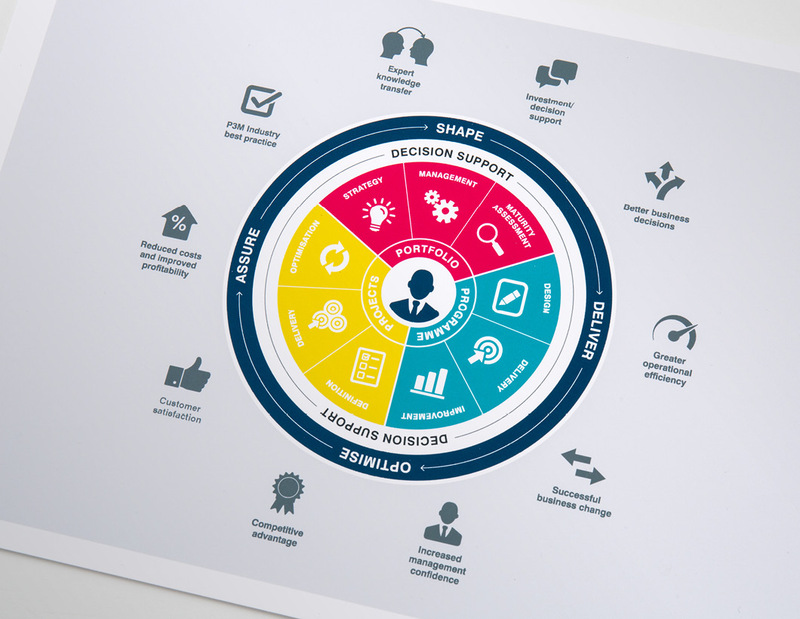 We devised a bright circular infographic with simple icons to show all the divisions offerings and how they relate to each other and support the best outcome for their clients. 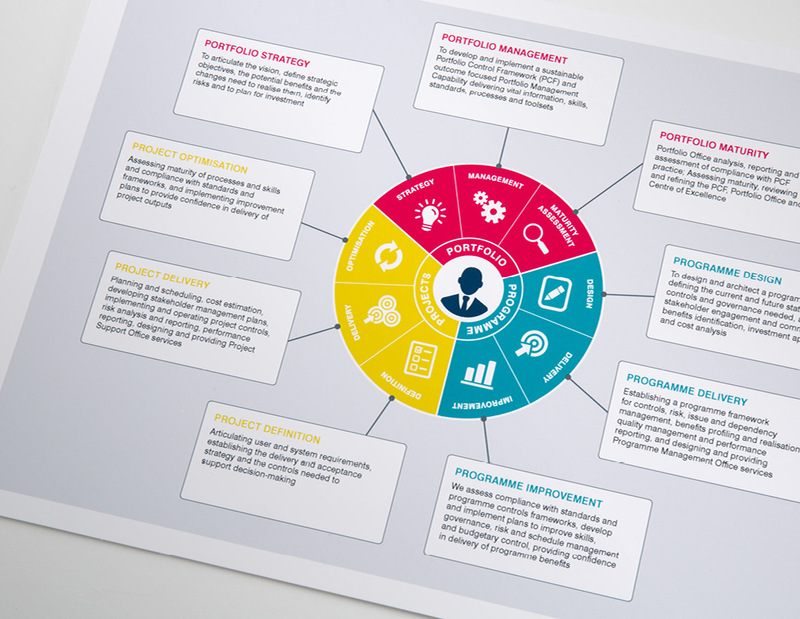 Each area was colour coded so the teams can see clearly where their function relates to the rest of the group with client positives being shown outside the circle.